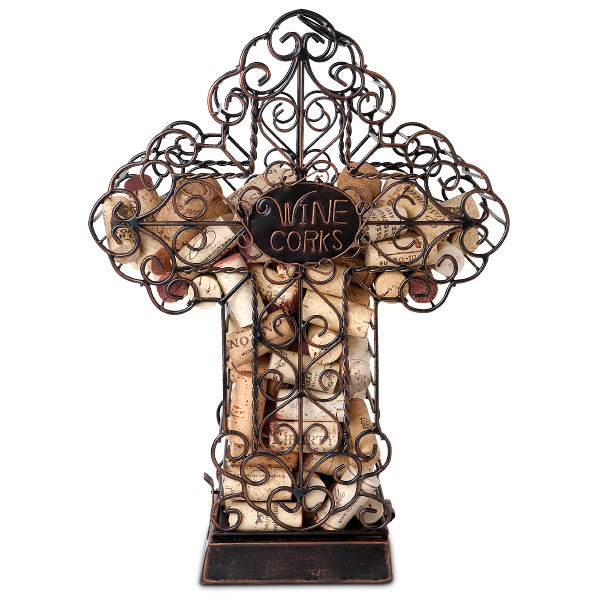 This Cross Cork Cage® is a fantastic wine and gift accessory that should be carried in your store. 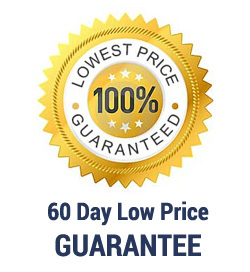 This artisan crafted cross has all the details of fine art. For cork collection, you can deposit corks through the opening at top. Cork retrieval is a snap, simply open the hinged base. 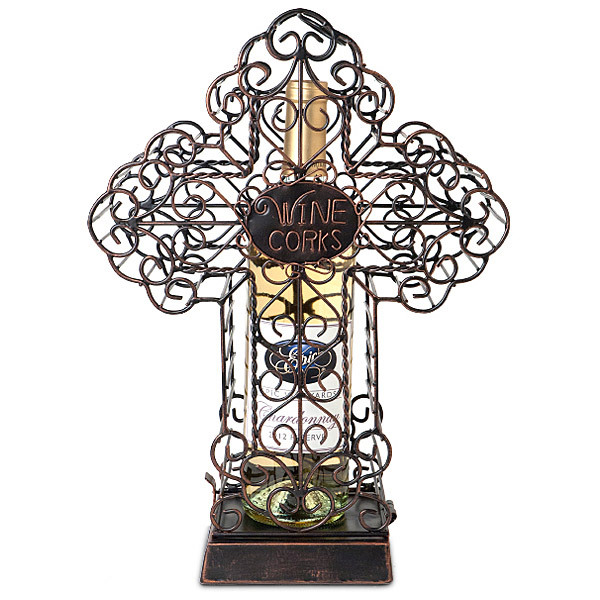 And don't forget, this cross can hold a bottle inside as well, making it super special "box" for a gift bottle of wine or spirits! 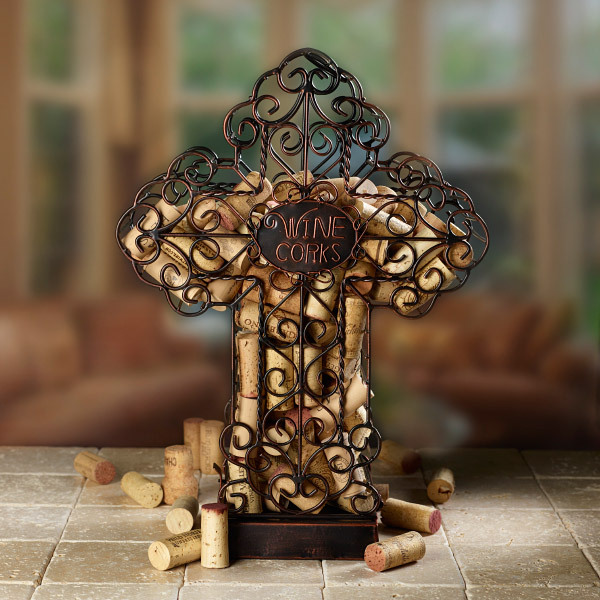 The Cross Cork Cage®, another clever wine and gift accessory from Epic Products. Fits a standard wine bottle.